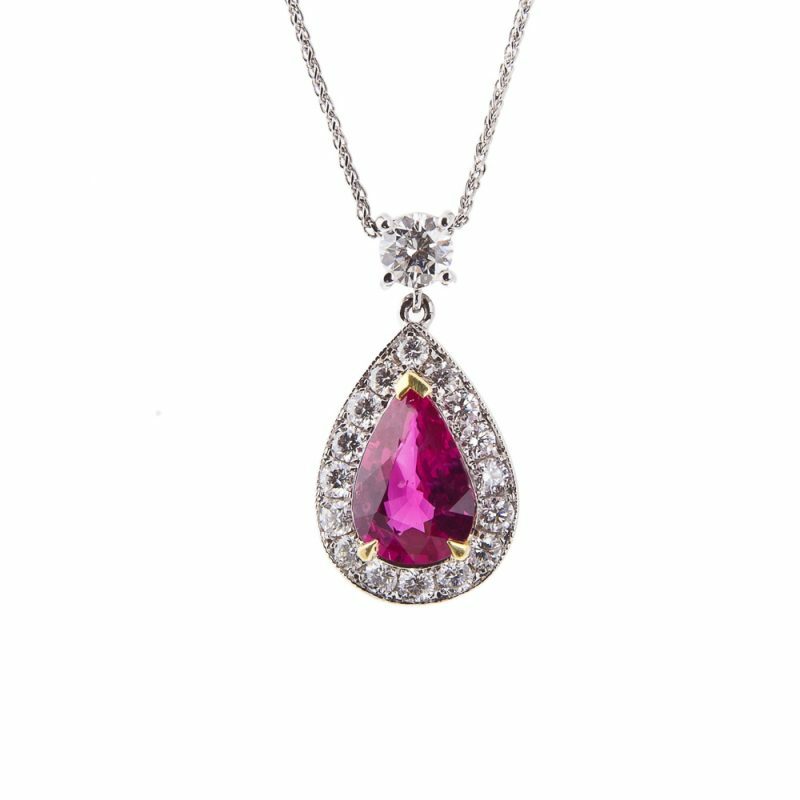 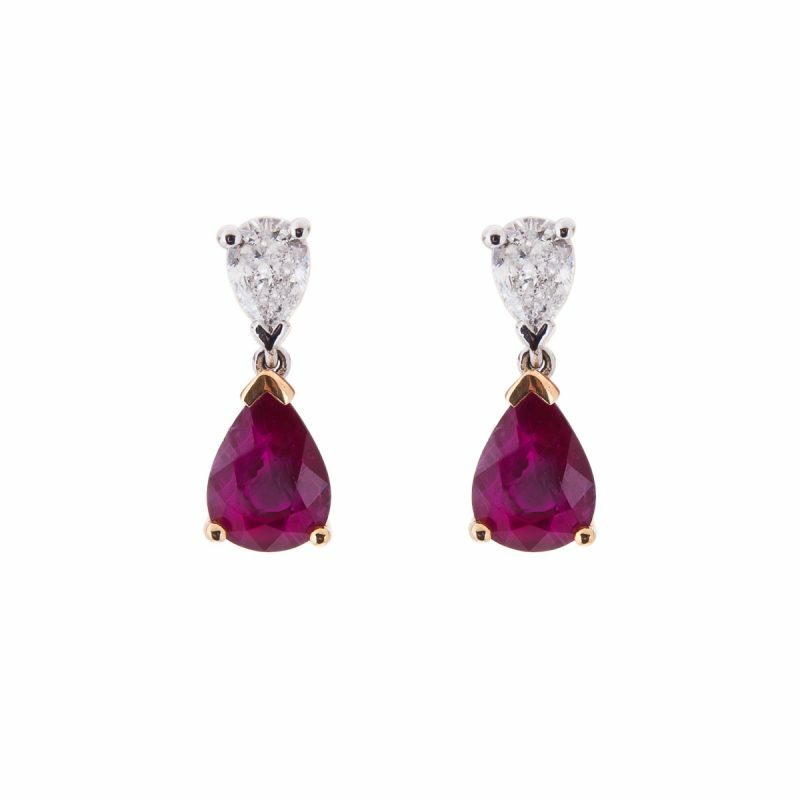 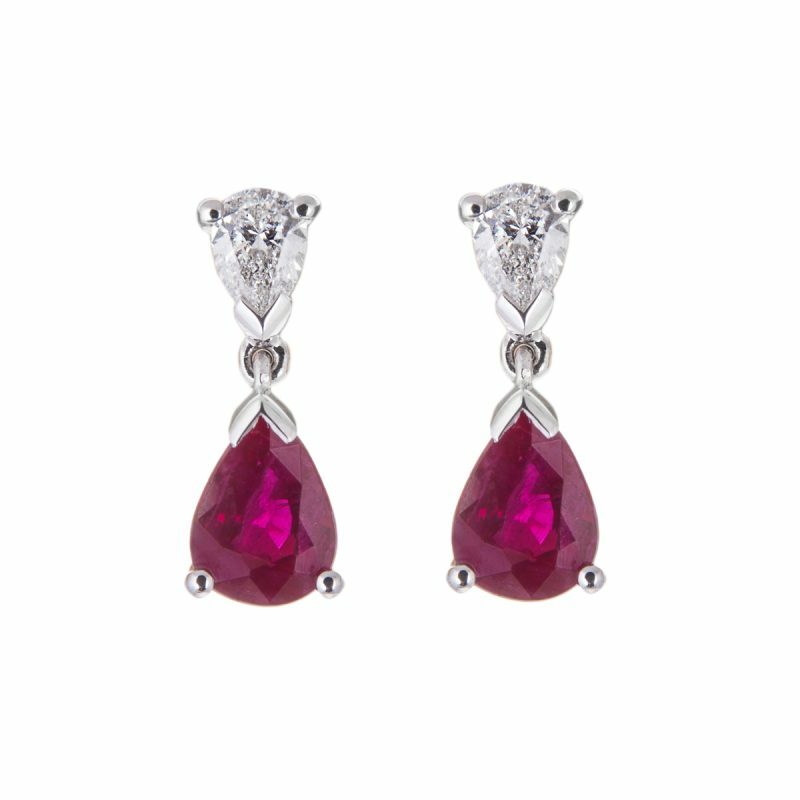 The fiery rich red tones of this pear cut ruby are contrasted perfectly with a brilliant cut diamond surround. 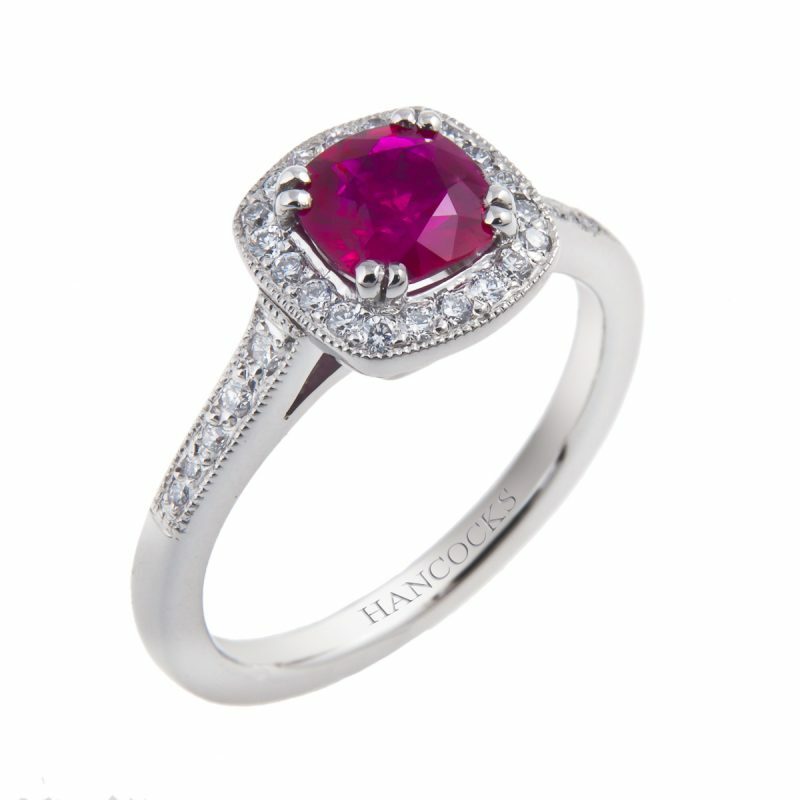 This epitome of romance has been expertly mounted in 18ct white gold. 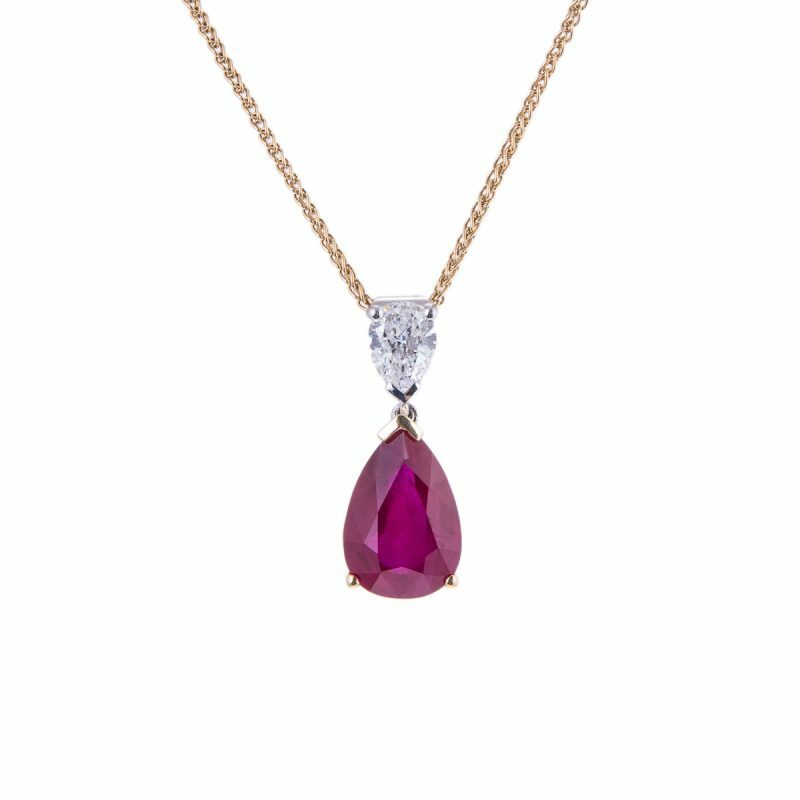 The drop ruby is suspended from a larger, claw set brilliant cut diamond and is mounted so that it moves freely, making this a truly thoughtful gift for any occasion.